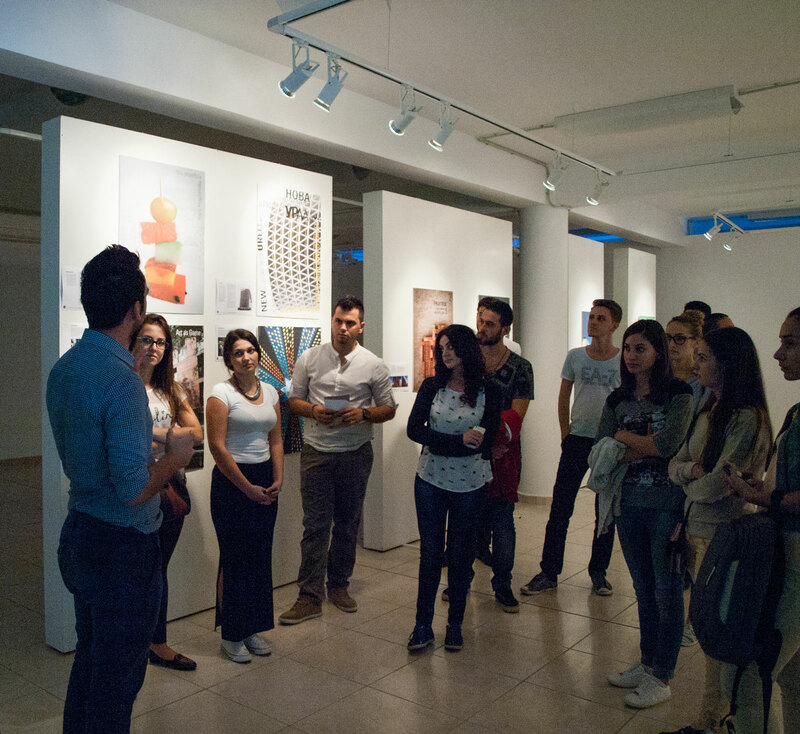 This September AWARE made a trip to Polis University in Albania for Tirana Architecture Week 2014 (TAW). We drove from Frankfurt through the West Balkans to participate in the event which brings the public and professionals together to increase awareness of the architecture and art design disciplines. We are honored and proud to be presenting alongside two contributions from Bulgaria and distinguished speakers such as the co-founder of RUR Architecture PC Jesse Reiser, Biosphere 2 co-founder John Allen and Peter Eisenman, principal of Eisenman Architects. 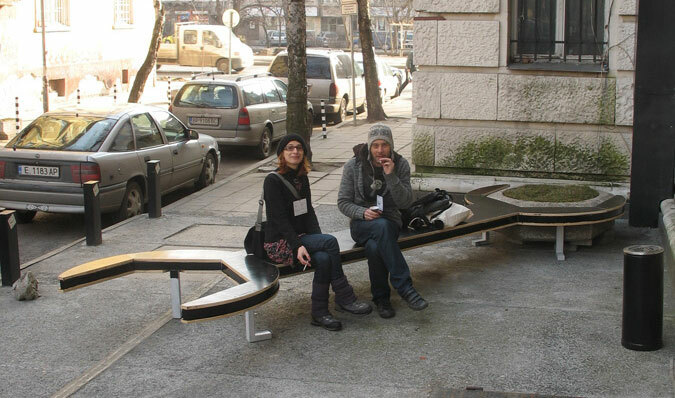 The Bulgarian participation at TAW was the result of the close contacts that ONE ARCHITECTURE WEEK has started establishing with fellow Balkan events. AWARE brought two projects to TAW this year, “Box in a Cloud” and “The Skyscraper Game” presented in our “Figure-Playground Relationship” workshop which aims to engage professionals, students and the public in an open play of architecture and design. 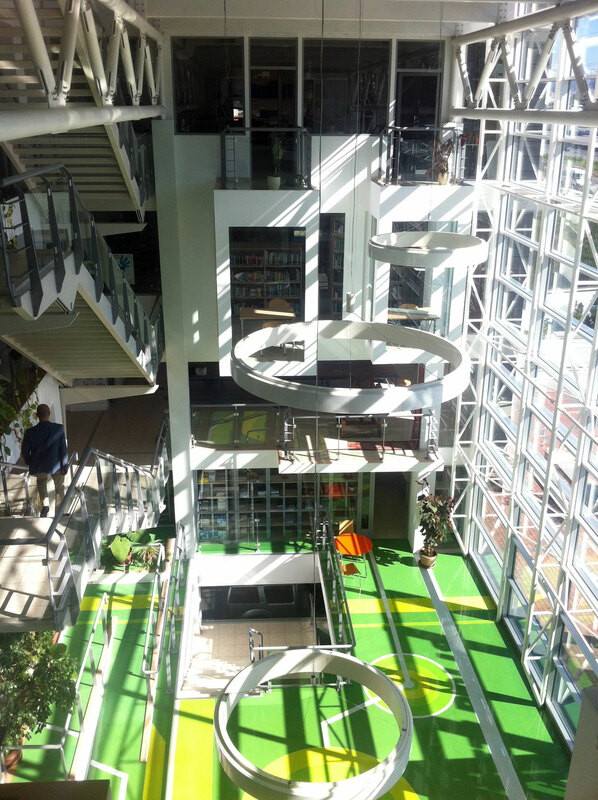 When we arrived in Tirana, we were impressed to find that even the buildings of Polis University echoed the philosophies of TAW with open spaces and self-organized social and work areas. The open, full-height lobby entrance fabricates an atmosphere of transparency and interconnectedness. On the top floor sits the cafeteria which boasts sweeping views of the Tirana cityscape. Originally a sawing factory, renovations brought faculty offices, reading desks and ad-hoc student workspaces together to form a creative space without fixed working hours or deadlines. Other spaces evolved with the community, such as Destil Bar a place where faculty and students can socialize and work together. 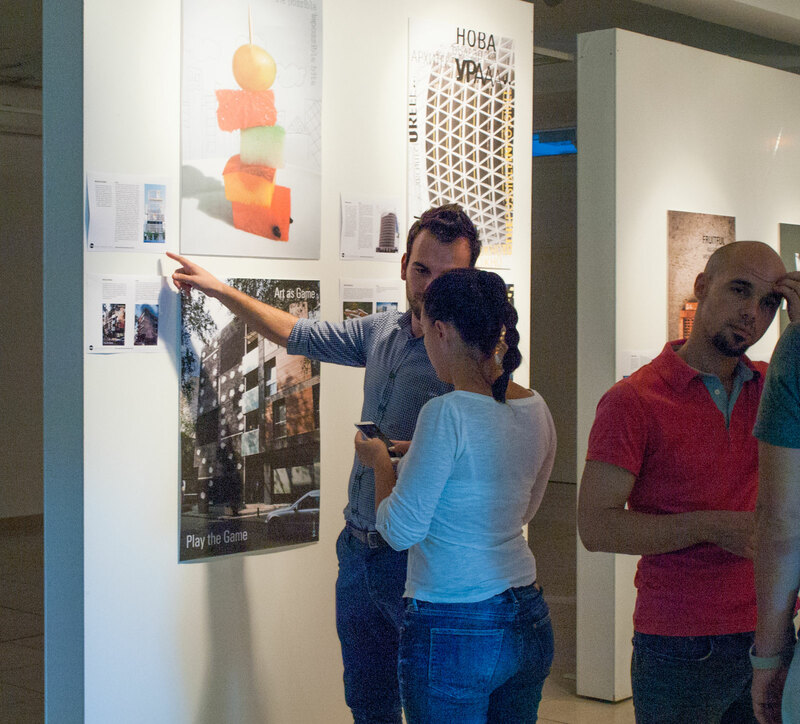 One of the favorite exhibitions at TAW 2014 was “Posters for New Bulgarian Architecture”, curated by Anna Simeonoff. The eye-catching posters were created by BG Graphic Designers and feature buildings that highlight the developing and changing Bulgarian architecture over the past quarter century. Each poster was shown next to written interviews of the building’s architect and the artistic interpretation of the graphic designers. 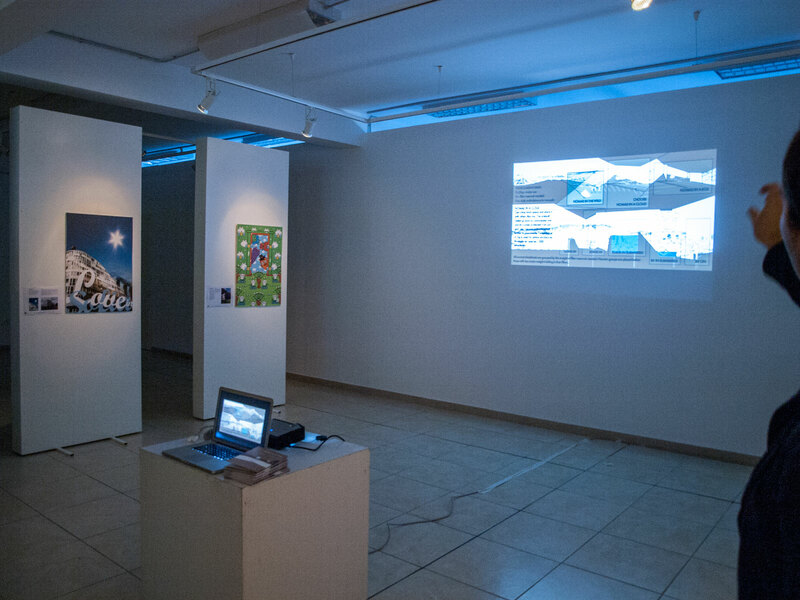 The exhibition was designed specifically for ONE ARCHITECTURE WEEK 2014 (October 10-19) in Bulgaria where it can also be viewed lining the streets of Plovdiv. Also from Bulgaria, Dimitar Mehandjiev of Transformatori gave a lecture entitled “Commission Free: place-making, community making or the public role of the architect” which focuses on urban activism in Bulgaria. Not unlike how Destil Bar was created at the Polis University, urban activism is the act of creation without investors and municipalities. This is a trend largely represented by Transformatori and is often an action done solely by the initiative of the people. TAW invited us to exhibit our “Box in a Cloud” project which was initiated at the MAK Center for Art and Architecture in Los Angeles. 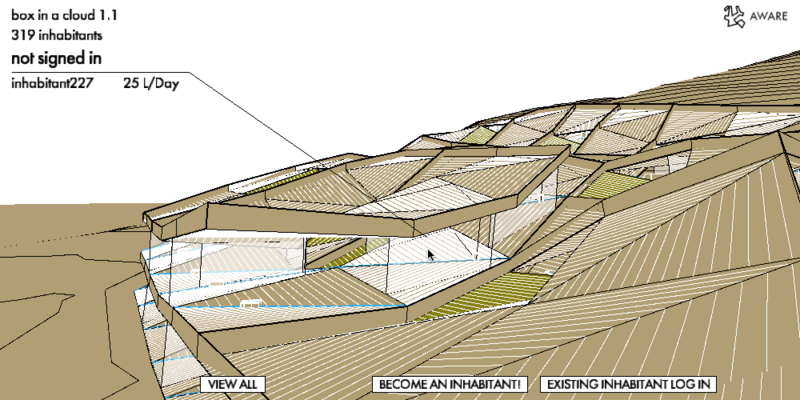 The project presents a hypothetical location in Los Angeles where 1000 inhabitants produce an environment capable of housing contemporary nomadic lifestyles. At the core of “Box in a Cloud” is an agile bathroom which creates a dynamic landscape. An interactive computer terminal gives visitors the opportunity to join other virtual inhabitants and follow as the “cloud” grows and develops. The project is built in part upon the precedent of Yona Friedman’s “Flatwriter” (1960s) which allowed users to design their own home or redesign their neighborhood. Though decades old, we believe this is still relevant and is symptomatic of today’s changing world where empowerment of the people through technology requires rethinking of the role of the architect. We were excited to host our own workshop “Figure-Playground Relationship”, a one-day lab that offered an introduction to the game developing environment Unity 3D. The content of our tutorials revolved around The Skyscraper Game, a collaborative project which brings AWARE and the participants together to make architectural design accessible to everyone through a game platform. In the game, loosely based on Jenga®, participants are given the chance to play and erect the highest skyscraper by dropping building blocks together. We had a great time introducing Polis students to The Skyscraper Game. Its framework was prepared by us in advance and after an introduction to Unity’s basic components everyone had the opportunity to create their own levels to be included in the final product. Using a game platform to build virtual skyscrapers brings crowdsourcing to architecture and finds a “best solution”, at least when it comes to height. Not only does the public get a chance to give input into the design process but we hope it also enriches the practice of architects by providing feedback from the crowds whose environment they are shaping. 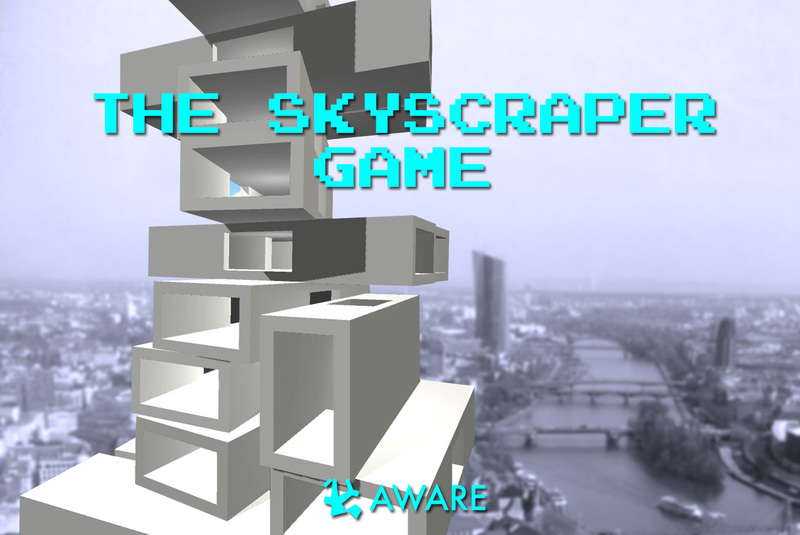 The Skyscraper Game is being developed for release by AWARE as a collective design experiment. If you want to participate by designing your own game level, sign up for our mailing list and we’ll send you the tutorial and project files to get started! 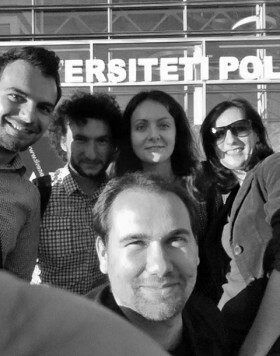 As nowadays selfies proliferate here is ours in front of U_POLIS (from left to right): TAW co-organizer Gjergii, Dimitar and Julia from Transformatori, Diana and Anton from AWARE. We would like to thank TAW team members Saimir Kristo, Gjergji Dushniku, Joana Dhiamandi and Renis Batalli for their invitation, warm welcome and support, Ljubo Georgiev for connecting us with TAW, and Aleš and Narvika for their hospitality and helpful tips for our trip over to the Balkans.